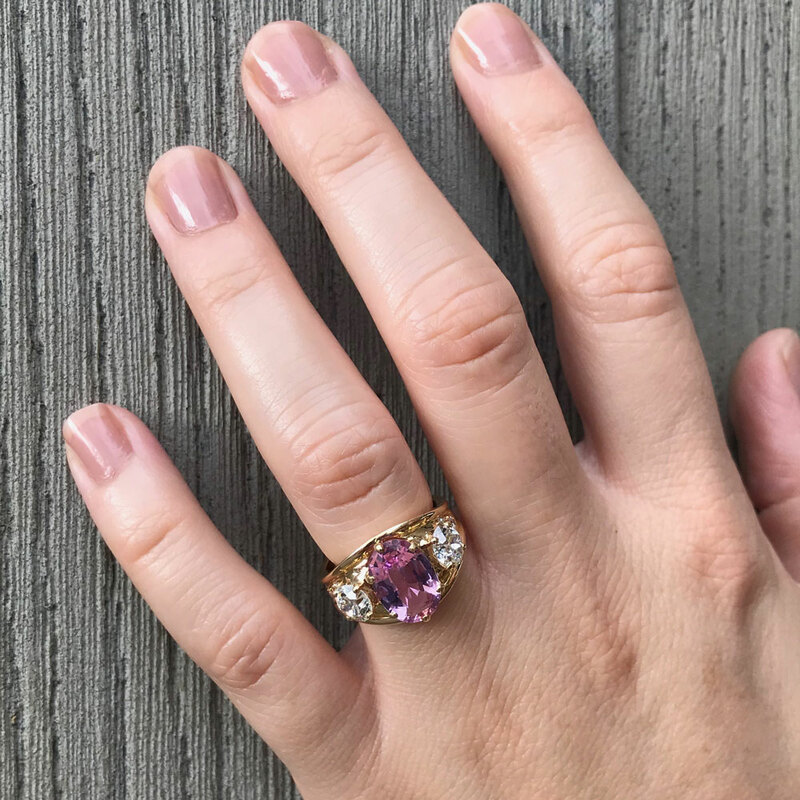 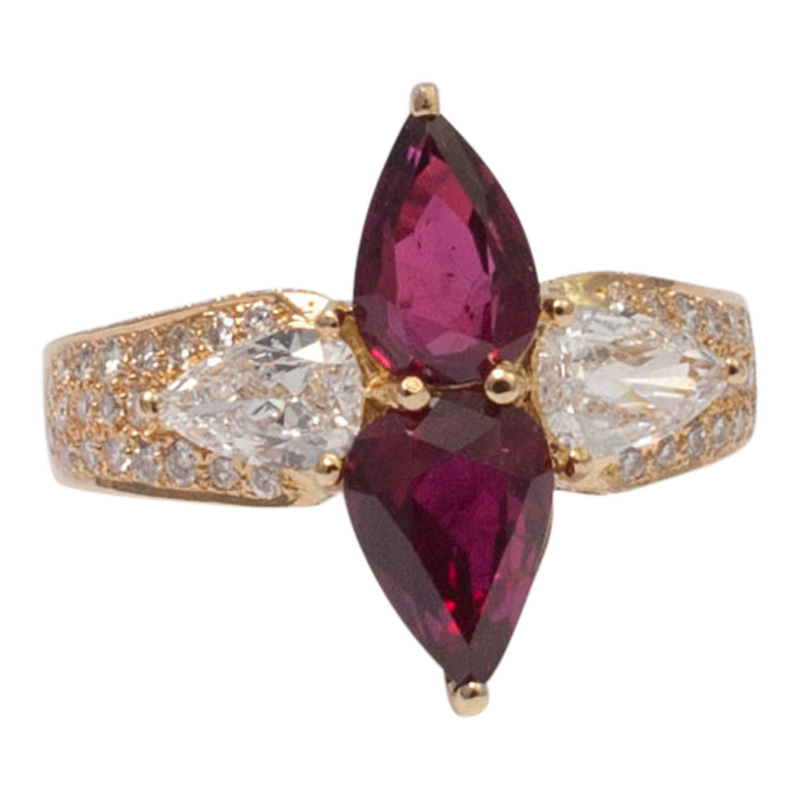 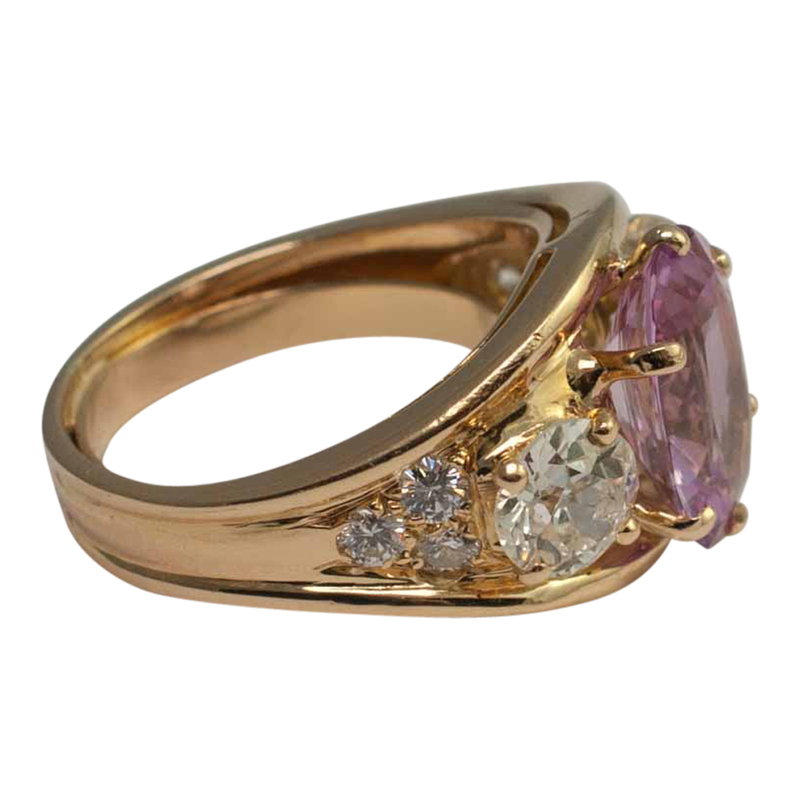 Oval mixed cut pink topaz weighing 3ct set with two Old European cut diamonds each weighing 0.77ct in a trilogy ring. 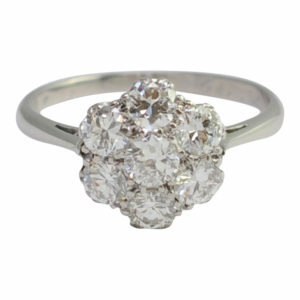 There are a further 6 brilliant cut diamonds, three on either side, totalling 0.24ct which add embellishment to the ring. 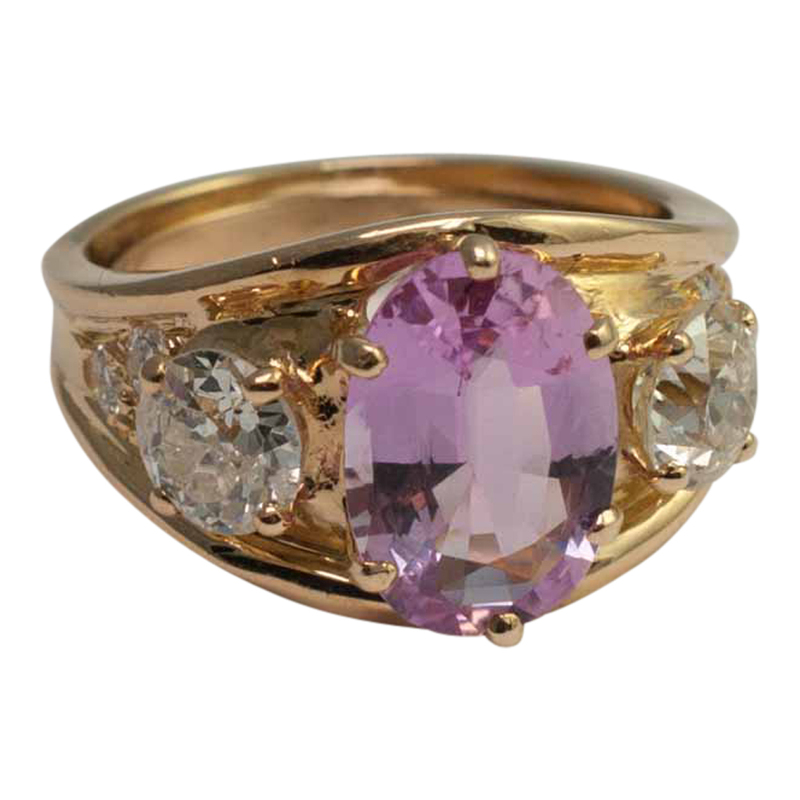 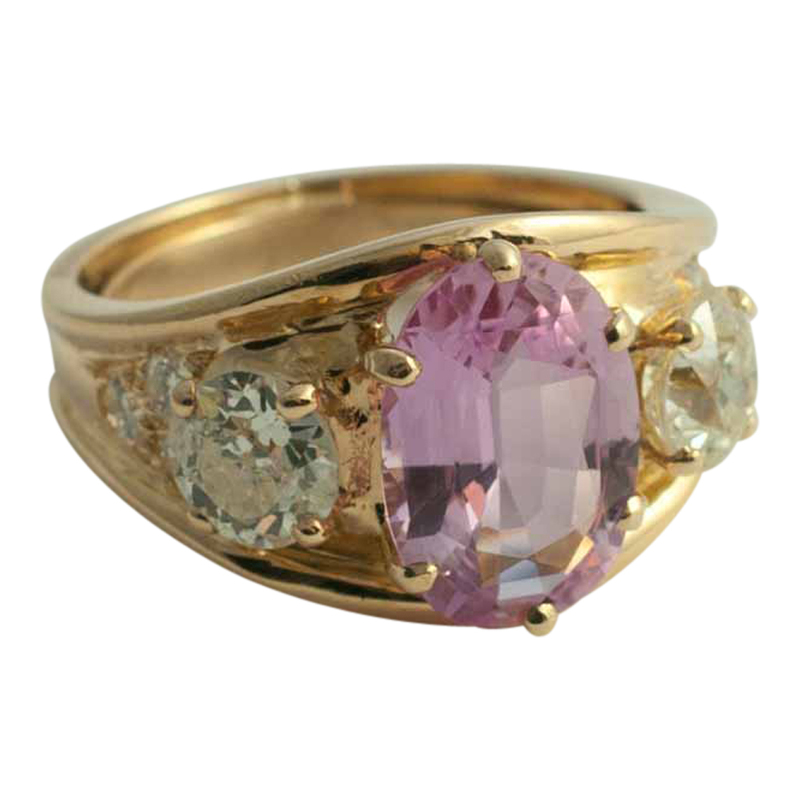 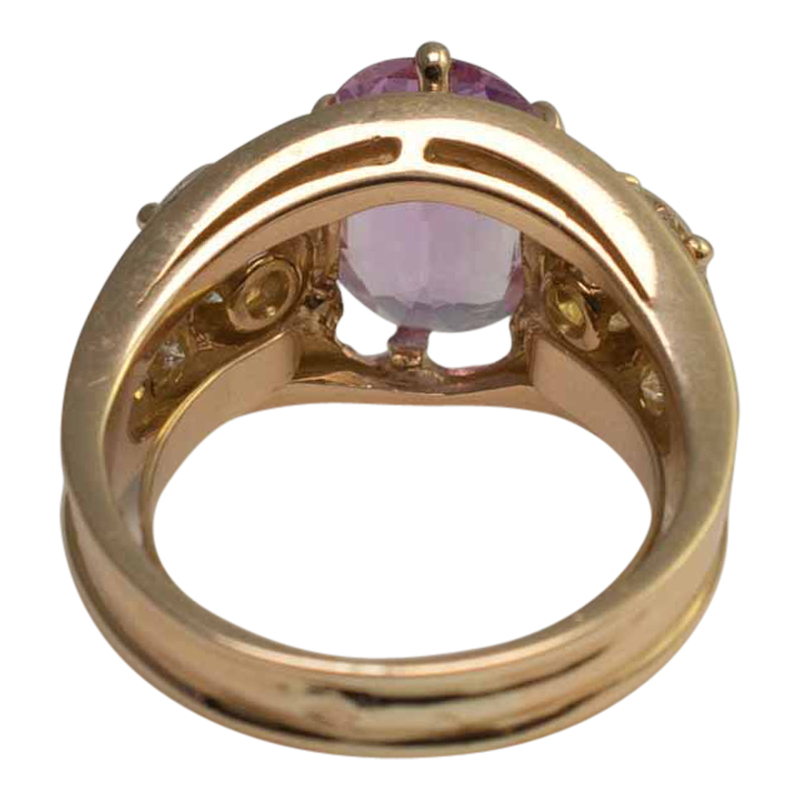 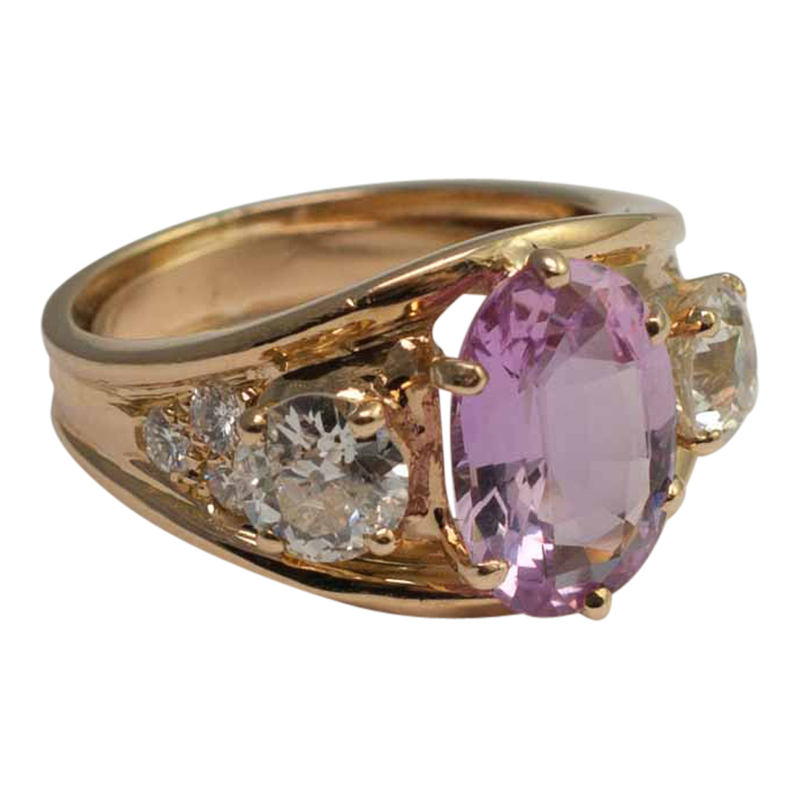 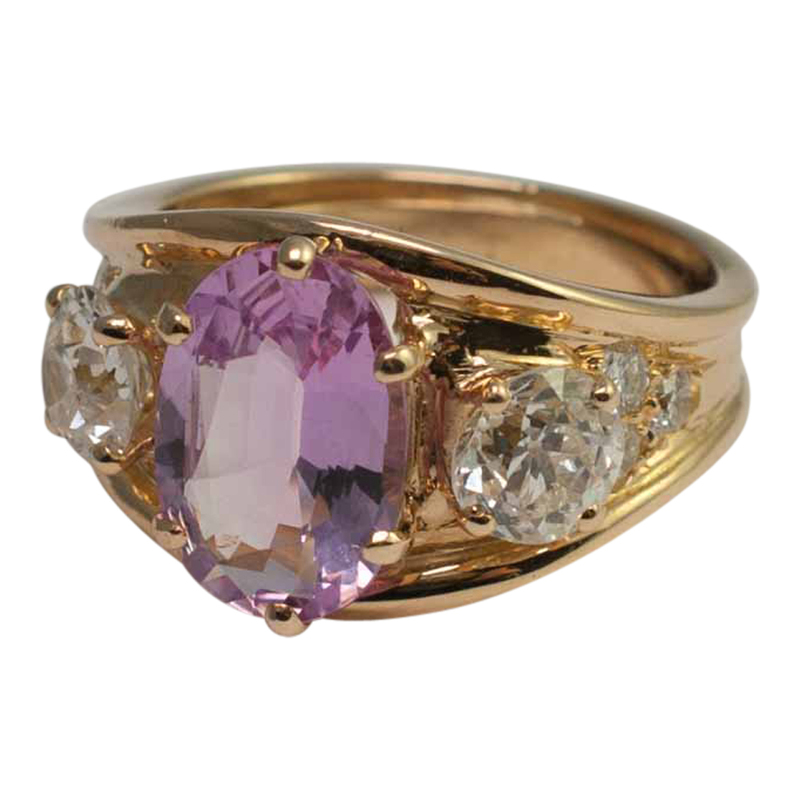 The larger stones are all claw set and the ring is mounted in 18ct yellow gold. 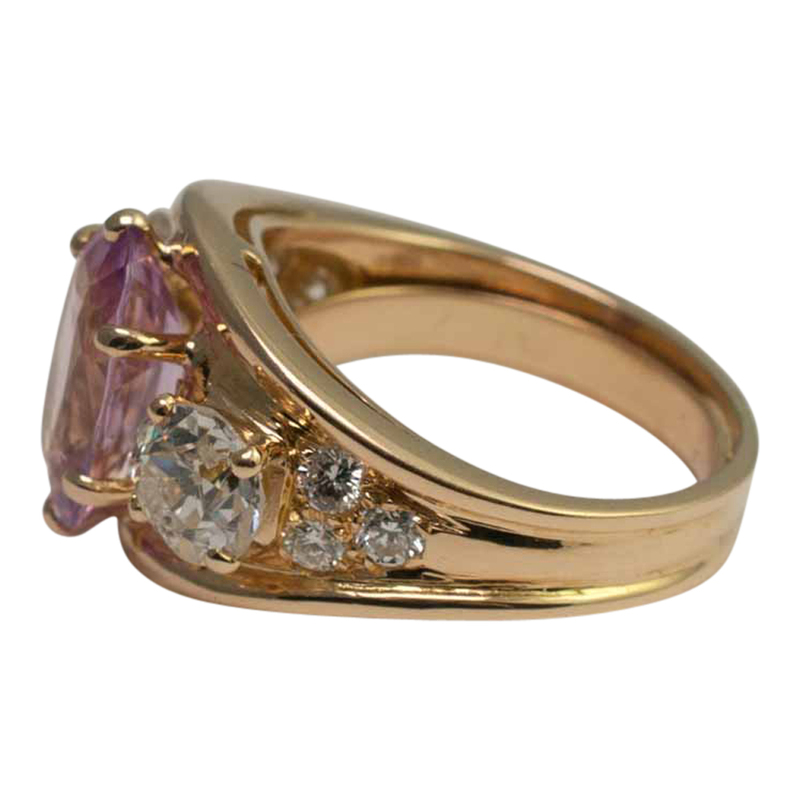 The shank is reeded and hallmarked with the French control mark for 18ct gold (Eagle) and there is a maker’s mark. 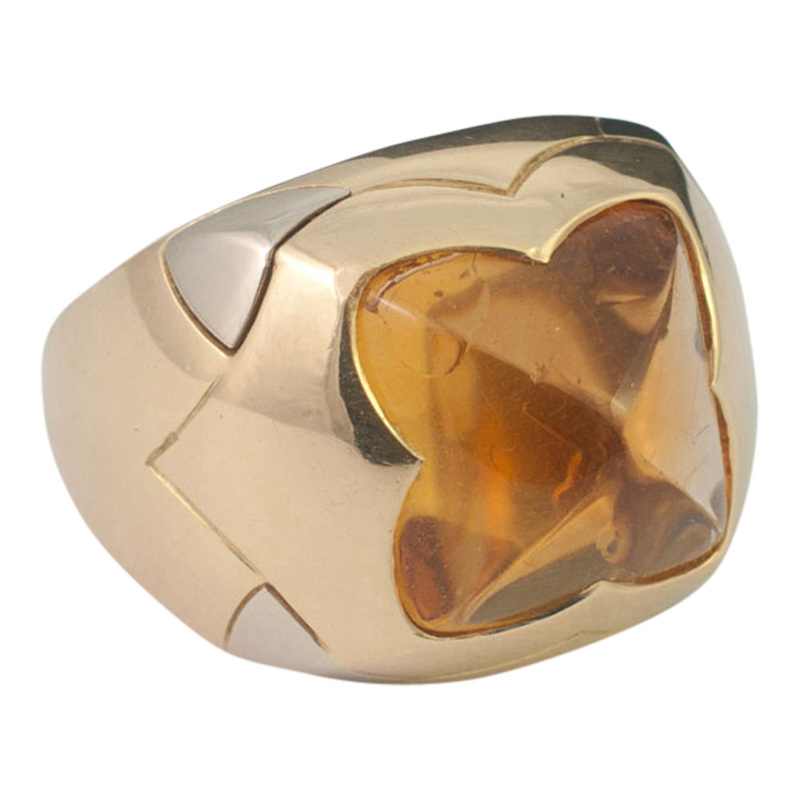 Weight 8.3gms; depth at widest point, 13mm. 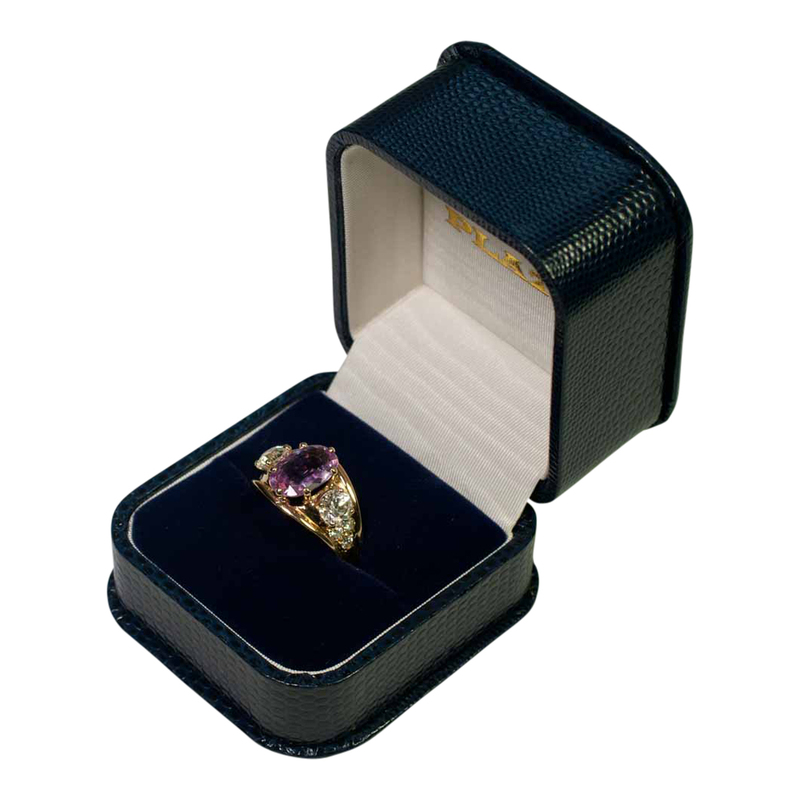 The ring is fitted with an internal spring to grip the finger and prevent the ring from moving. 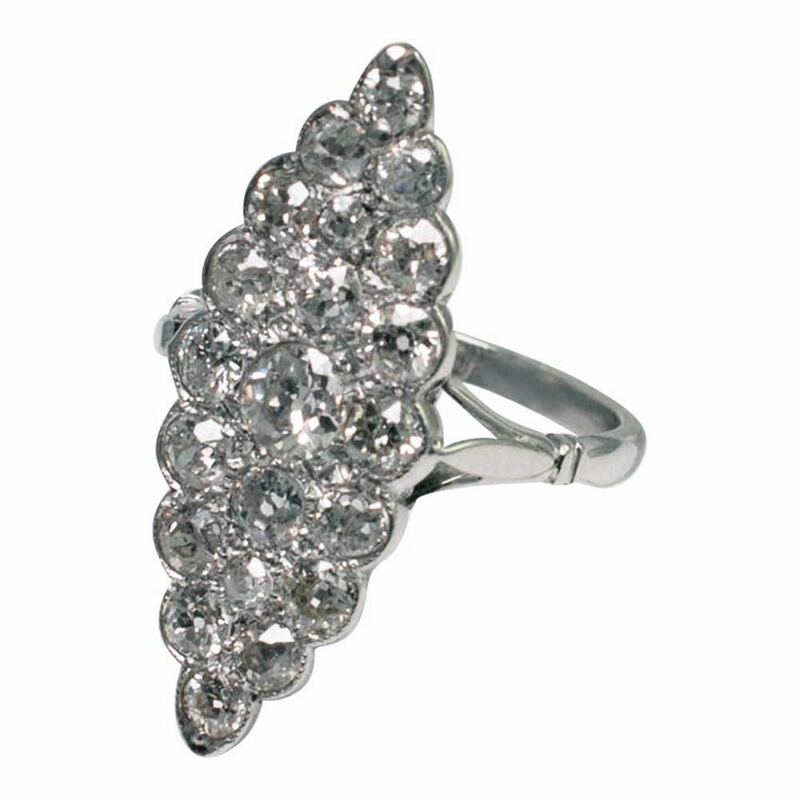 Finger size L (UK), 6 (US), 52 (EU) which we can re-size for you if required.